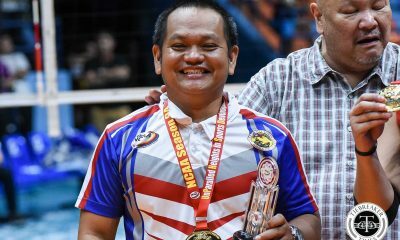 After sweeping all 11 of their games in the NCAA Season 94 Men’s Volleyball Tournament and claiming their second title in a row, decorated mentor Sammy Acaylar is still unsatisfied. 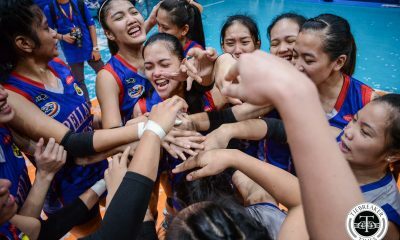 The lynchpin of all 12 of the Las Piñas-based programs titles dating back to the 80s, Acaylar admitted that this iteration of the Altas still has plenty of room for improvement. 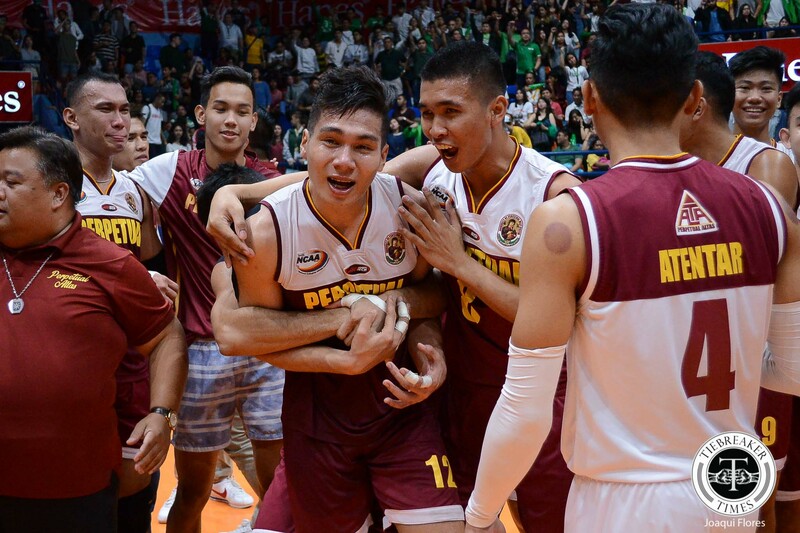 “Ngayon pa lang sila nagpi-peak talaga,” Acaylar said after the Altas finished off the College of Saint Benilde Blazers in the Blazers. The reigning Coach of the Year and current Perpetual Athletics Director wasn’t boasting. He took on a more regretful tone, lamenting that he was not able to squeeze the most out of his current lineup. Still, he absorbed all the blame since he handles the team’s program. 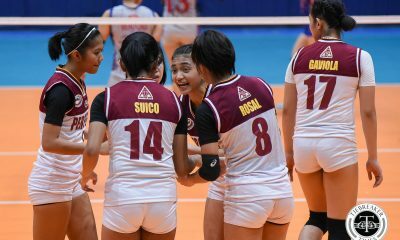 The Altas were dominant in Season 94, going to five sets just twice. Still, Acaylar has seen more dominant squads. 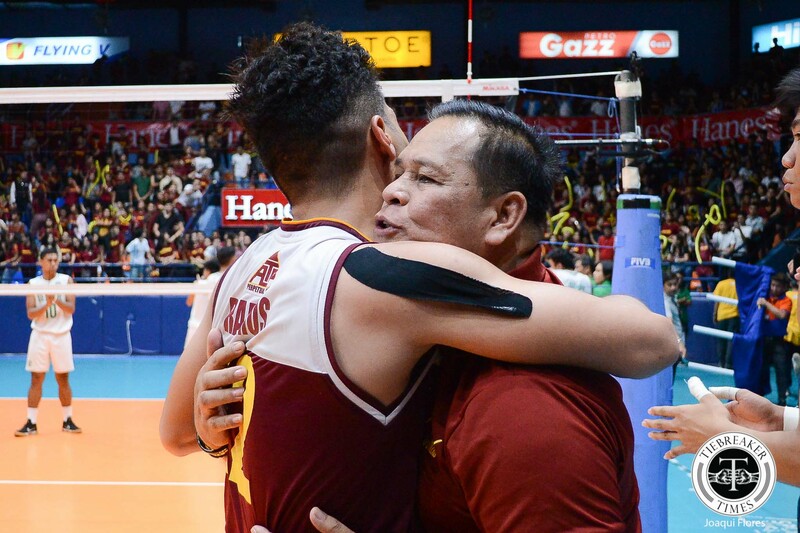 He once coached the Altas to five straight titles in the 80s and four straight from Season 85 to 89 wherein they went on a 50-game winning streak. 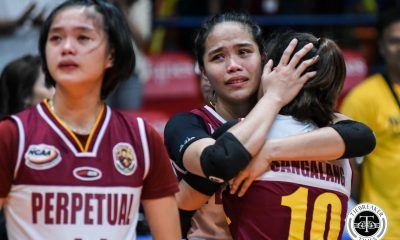 Acaylar now looks forward, confident that the Altas can contend for a third straight title next year since they will only lose one player to graduation, captain JP Ramos. 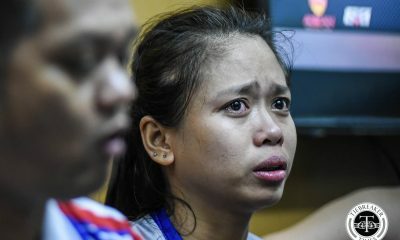 “May mga recruits pa kami na papasok na six-foot-five and six-foot-seven, so kaya pa talaga next year. We just have to stay focused,” said the former national team head coach. Miguel Luis Flores fell face first into sports writing in high sch9l and has never gotten up. He reluctantly stumbled into the volleyball beat when he started with Tiebreaker Times three years ago. Now, he has waded through everything volleyball - from its icky politics to the post-modern art that is Jia Morado's setting.